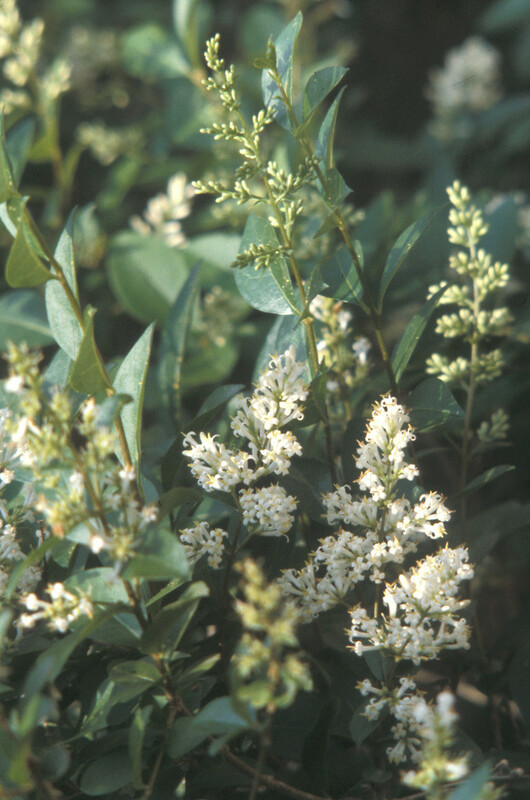 European privet, first introduced as a hedge planting, produces strongly-scented flowers with anthers that are shorter than the surrounding tube of white petals. 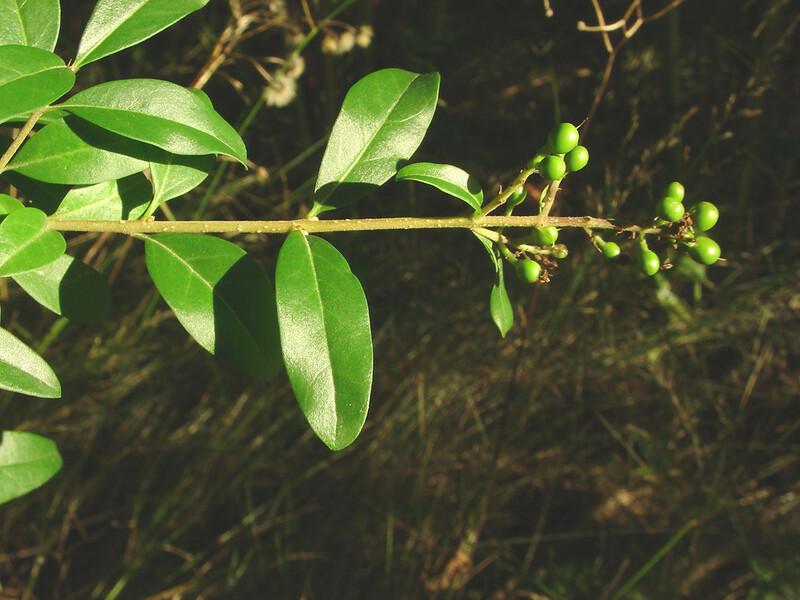 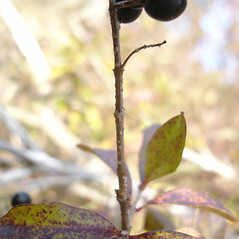 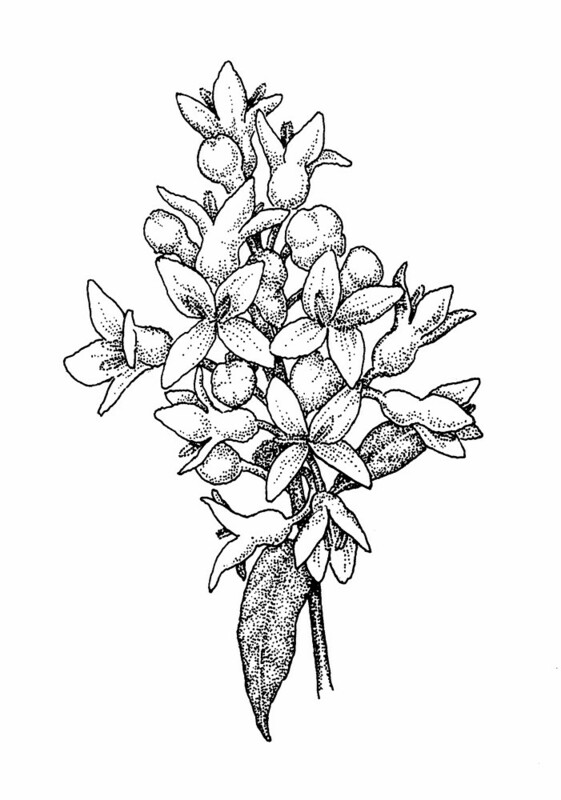 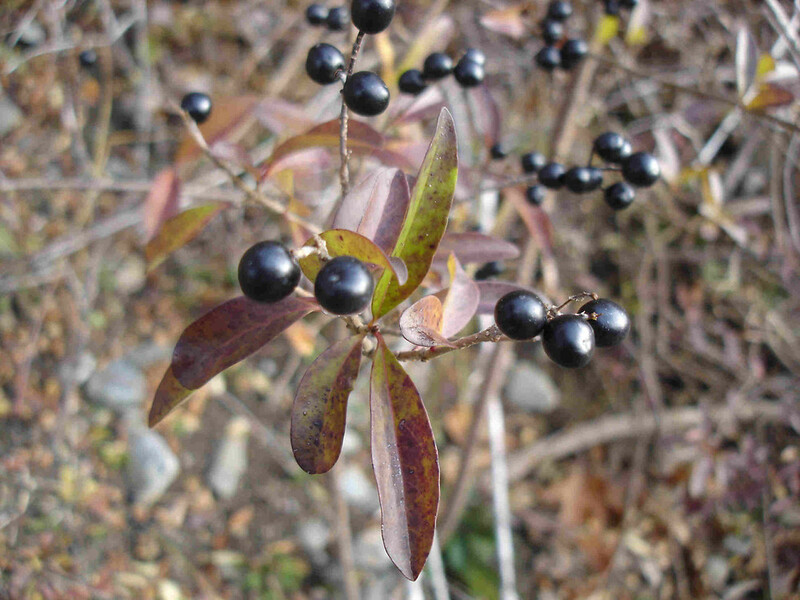 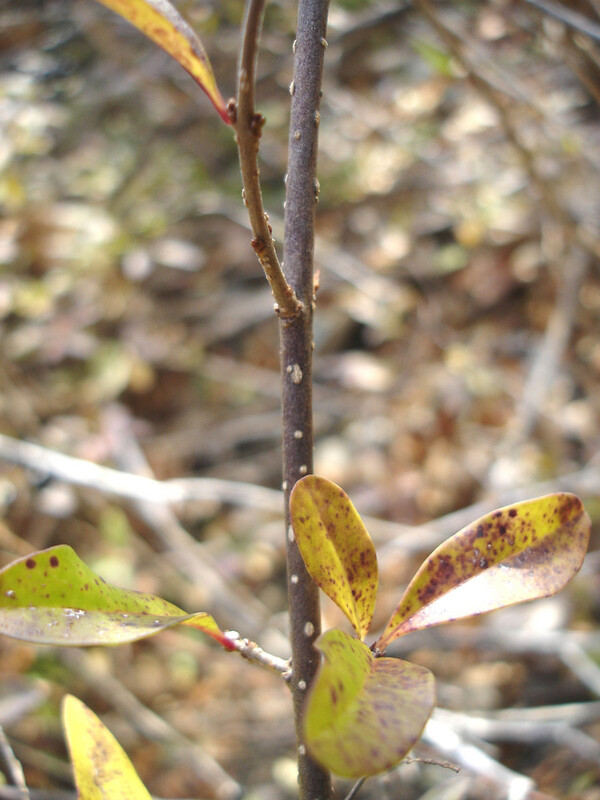 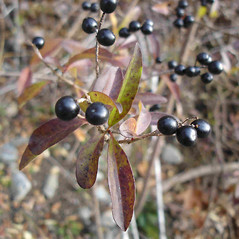 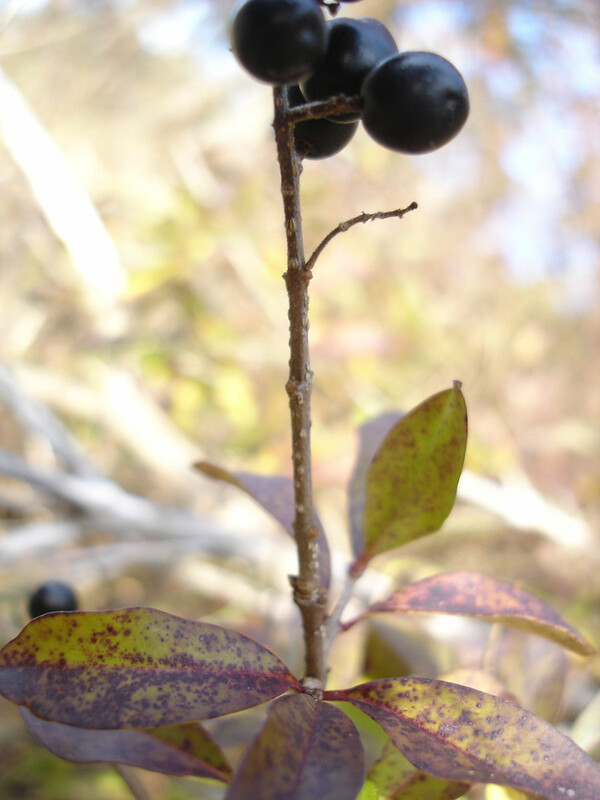 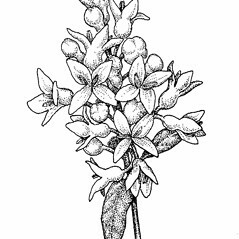 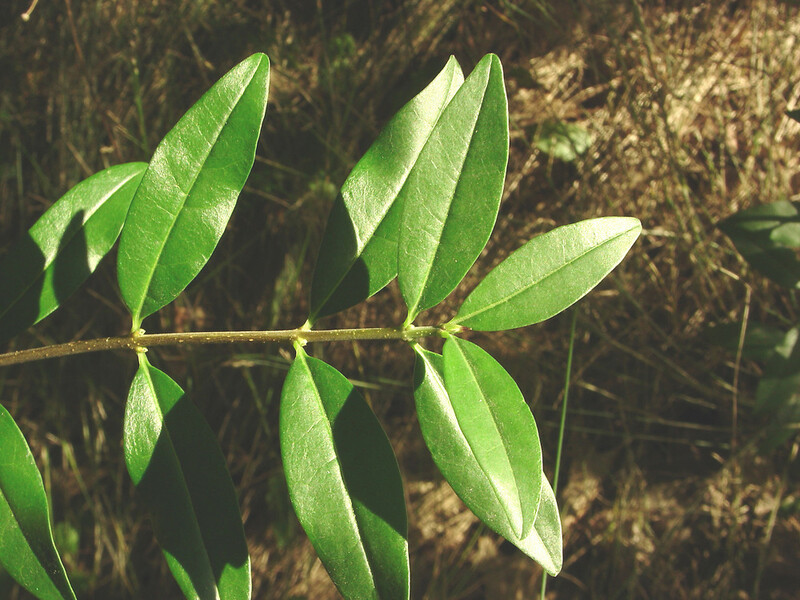 The leaves are glossy, and appositely arranged, and produced in dense ranks. 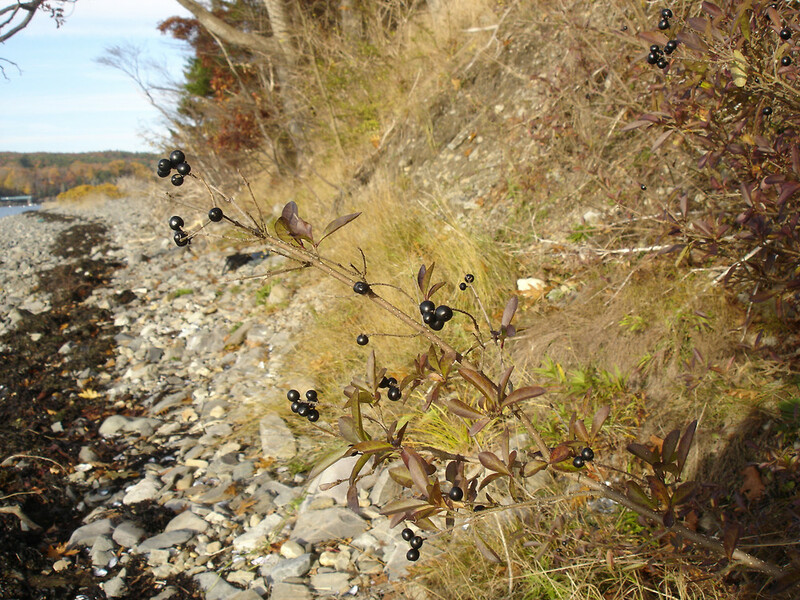 It is considered invasive in parts of its New England range, and birds widely disperse its seeds. 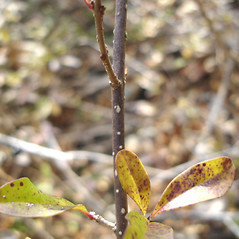 basal tubular portion of the petals 5-8 mm long, 1.5-3 times as long as the petal lobes, and branchlets hairy with hairs of different lengths (vs. L. vulgare, with the basal tubular portion of the petals 2.5-3 mm long, approximately as long as the petal lobes, and branchlets minutely and uniformly hairy). 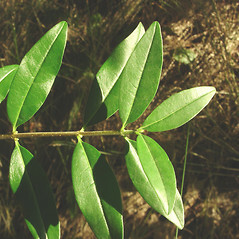 basal, connate portion of corolla 5–8 mm long, 1.5–3 times longer than the lobes, and panicle and branchlets glabrous (vs. L. vulgare, with the basal, connate portion of corolla 2.5–3 mm long, approximately as long as the lobes or a little shorter, and panicle and usually the branchlets minutely and uniformly puberulent). 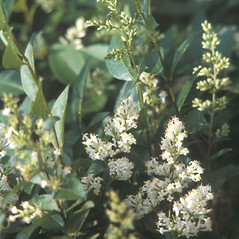 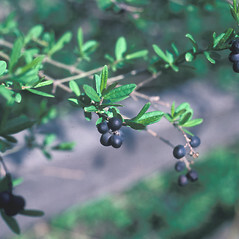 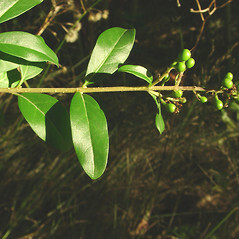 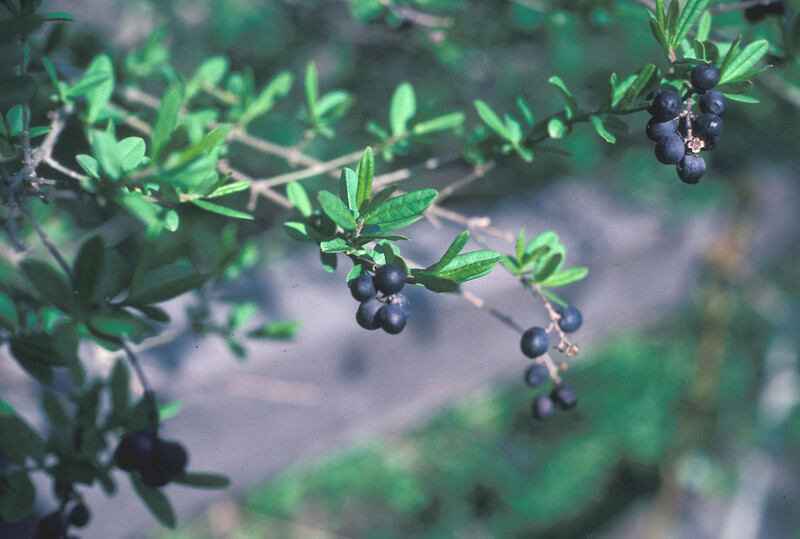 European privet. 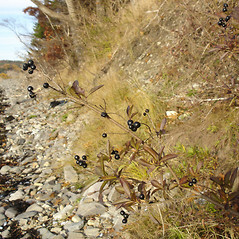 CT, MA, ME, NH, RI, VT. Roadsides, forest edges and fragments, areas of habitation.